Unionized workers at Lear Ajax, northeast of Toronto, began strike action on the weekend, scaling back auto assembly at Fiat Chrysler Automobiles' Brampton, Ont., plant. Lear Ajax is a just-in-time seating supplier for FCA’s Brampton Assembly plant, which assembles the Chrysler 300 and Dodge Challenger and Charger. Unifor members at Lear walked off the job at 12:01 a.m. April 28 after negotiations to secure a new collective agreement failed. "Unifor bargained up until the deadline but unfortunately it became clear that Lear was just unwilling to make a fair offer," Unifor President Jerry Dias said in a statement. The 320 workers, represented by Unifor Local 222, had delivered an overwhelming 99 per cent strike mandate heading into negotiations last week. 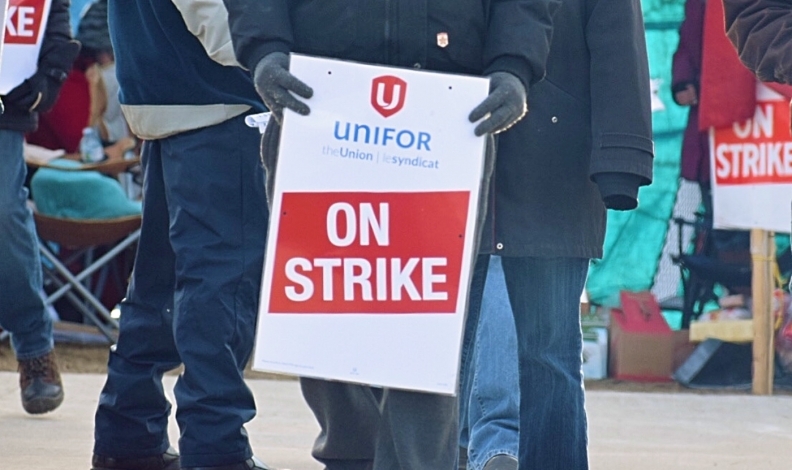 "The members are united, and we are determined to obtain an agreement that addresses the workers' key issues," said Colin James, President of Unifor Local 222. Ardis Snow, Unifor Local 1285 plant chair at the Brampton plant, says his members on day shift will work just four hours today. The afternoon shift will report as schedule "but I expect they'll be sent home early, as well," he said. "All our members are scheduled to report tomorrow, but we'll see how it goes from here," Snow said. FCA Canada didn't immediately respond to a request for comment.